Koninklijke Philips N.V. (NYSE: PHG), or better known as Philips, a Dutch technology company focused in electronics, healthcare, and lighting, has agreed to buy Spectranetics Corp. (NASDAQ: SPNC), a US based medical device company, for $1.7B euros to improve its image-guided therapy field. Philips will be paying Spectranetics shareholders at $38.50 per share, which represents around 27% premium on Spectranetics’ closing share price on Tuesday. Shares of Spectranetics Corp., SPNC, surged rapidly since this morning trade on Wednesday at +26.23%, up $7.98 to $38.38. Philips expects Spectranetics to make sales of $300 million for the year, and is expecting growth revenues of double-digit rates in 2018. This acquisition shows that leaders at Philips is hoping to expand its health care sector as seven of Philip’s ten biggest financial deals have been in health. Philip’s presence is further strengthened by its previous acquisition of Volcano, a vascular imaging company, in 2015. 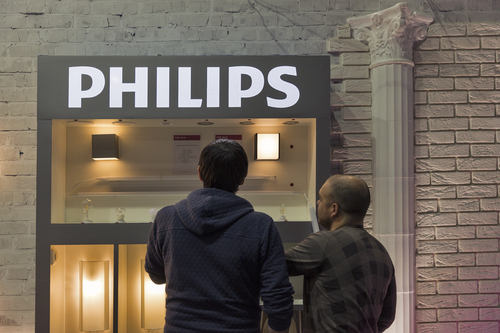 Overall, shares of Philips in the past year has been returning, including a $6 increase in the last 6 months.